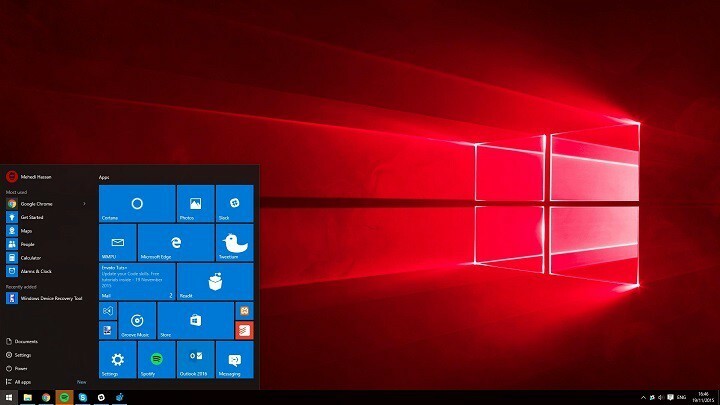 Microsoft released Windows 10 Preview build 11099 for Insiders on the Fast Ring last week, and the company immediately warned us about accompanying issues. And some users discovered another issue in the second Windows 10 Preview Redstone build, but this time, we have a proper solution. Reportedly, a few users said that they encounter a strange bug when they boot up their computers. Namely, an error message saying “error in wsclient.dll Missing entry: RefreshBannedAppsList” appears on every startup. The message doesn’t affect the system, as it disappears when you close it, but since it shows up on every boot, it’s really annoying. WSClient.dll error Windows 8.1 – This issue can appear on Windows 8.1 as well. Since Windows 8.1 and 10 are so similar, you should be able to apply all of our solutions to Windows 8.1 as well. WSClient.dll error has occurred – This is just a variation of the original error, and in most cases you can fix the issue by running the WSReset command. WSClient.dll refreshbannedappslist – Sometimes certain tasks in Task Scheduler can cause this issue to appear, but you can fix it by finding and removing the problematic task. Rundll32.exe WSClient.dll wsptlr licensing – If this error message occurs, you might be able to fix the issue simply by re-registering the problematic file. 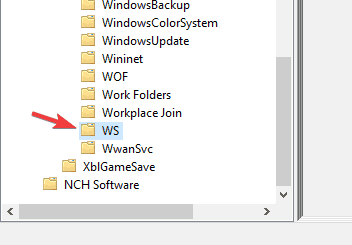 WSClient.dll not found – In some cases, this file might not be even present on your PC. To fix that, perform SFC and DISM scans. In case that doesn’t work, you might have to reinstall your system. 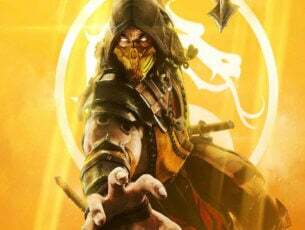 Open Win + X menu. You can do that by right-clicking the Start Button or by using Windows Key + X shortcut. Choose Command Prompt (Admin) or PowerShell (Admin) from the menu. Enter wsreset and press Enter. After a couple of moments, the process will be finished and the issue should be resolved. Press Windows Key + S and enter scheduler. Select Task Scheduler from the list of results. Under Task Scheduler, go to Microsoft>Windows>WS. Right click on the task WSRefreshBannedAppsListTask, and choose Disable. After disabling this task, check if the problem is still there. 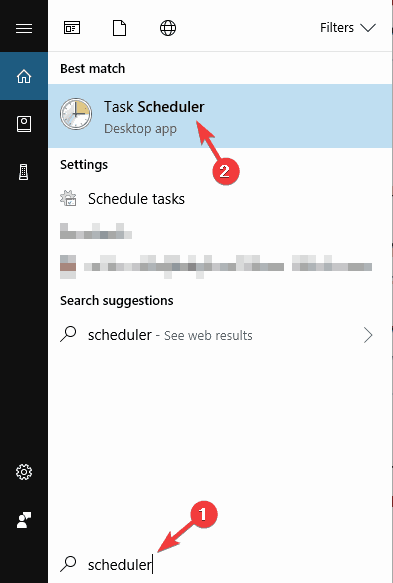 In case this task isn’t available in Task Scheduler, you should skip this solution and move to next one. Start Command Prompt as administrator. We showed you how to do that in the previous solution. When Command Prompt starts, run the schtasks /delete /TN “\Microsoft\Windows\WS\WSRefreshBannedAppsListTask” /F command. Both methods are similar, but if you’re an advanced user or if you want to do it quickly, you might use the command line method. After running both of these commands, you’ll re-register the problematic DLL file and the issue should be resolved. Now run the sfc /scannow command. The SFC scan will start. Keep in mind that this scan can take about 15 minutes, so don’t interfere with it. Type DISM /Online /Cleanup-Image /RestoreHealth and press Enter to run it. DISM scan will now start. The scan can take up to 20 minutes, so don’t interfere with it. Once the scan is completely finished, check if the problem is still there. If you weren’t able to run SFC scan before, perhaps you should try to run it again and check if that solves the issue. 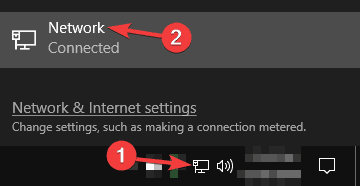 Click the network icon on your Taskbar and choose your network connection from the menu. 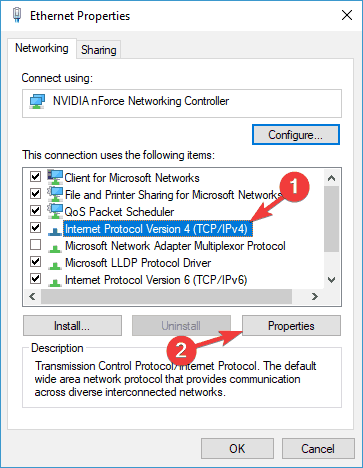 List of available network connections will appear. 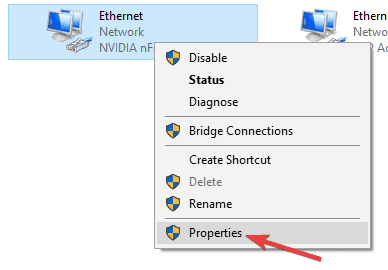 Right-click your network connection and choose Properties. 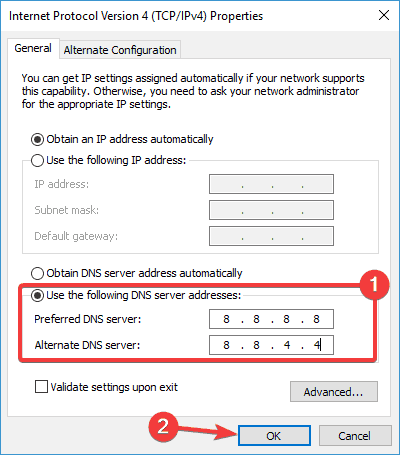 Select Use the following DNS server addresses option. Enter 8.8.8.8 as the Preferred and 8.8.4.4 as the Alternate DNS server. Click OK to save changes. After making this changes, you’ll switch to Google’s DNS and the problem should be resolved. If you want, you can use a different DNS server such as OpenDNS. 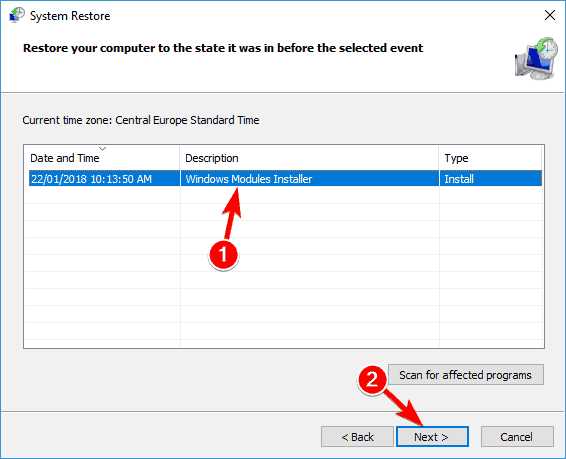 If the problem with WSClient.DLL started occurring recently, you might be able to solve it simply by performing a System Restore. 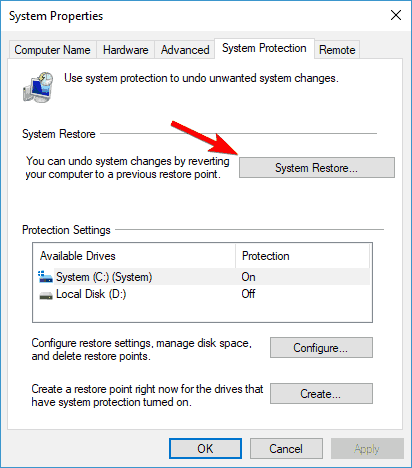 In case you don’t know, System Restore is a built-in feature that allows you to restore your system to the previous state and fix all sorts of issues. Press Windows Key + S and enter system restore. 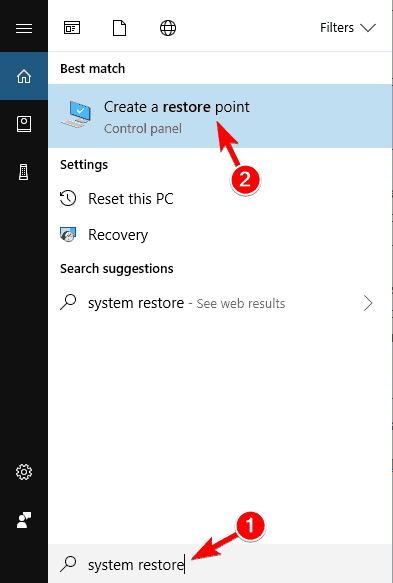 Now select Create a restore point. 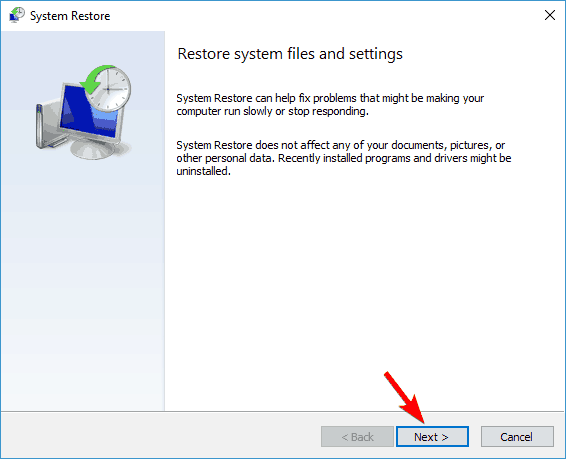 When the System Properties window appears, click System Restore button. System Restore window will now open. Click Next to proceed. If available, check Show more restore points option. Choose the desired restore point and click Next. Follow the instructions on the screen to complete the restoration process. After your PC is restored to the original state, check if the problem is still there. In some cases, the only way to fix WSClient.DLL error is to perform an in-place upgrade. 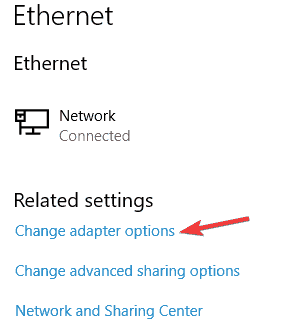 In case you don’t know, an in-place upgrade will reinstall Windows and update it to the latest version. 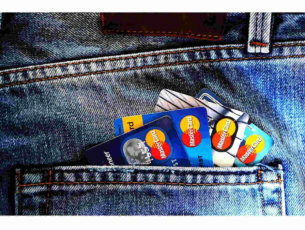 We also have to mention that this process will keep all your files and applications, which is also a big plus. Download and run Media Creation Tool. Select Upgrade this PC now. Select Download and install updates (recommended) option and click Next. This step isn’t mandatory, so you can skip it if you want. Follow the instructions on the screen until you reach Ready to install screen. Select Change what to keep. 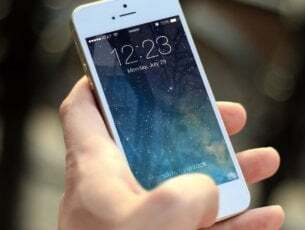 Select Keep personal files and apps and click Next. Once the process is finished, you’ll have a fresh installation of Windows 10, and all your files and applications will be preserved, and the problem should be resolved. If you’re still having issues with your .dlls, or you simply want to avoid them for the future, we recommend you to download this tool (100% safe and tested by us) to fix various PC problems, such as missing/corrupted .dlls, hardware failure but also file loss and malware. Performing one of these solutions should solve the problem with WSClient.DLL error message. If you noticed some other bug in the build 11099, let us know in the comments.